Through his poems, Phillips tells stories of earlier generations of his white, working-class family’s life in Birmingham, Alabama; he grapples with race relations, the complex dynamics of family relationships, parenthood, and mortality. 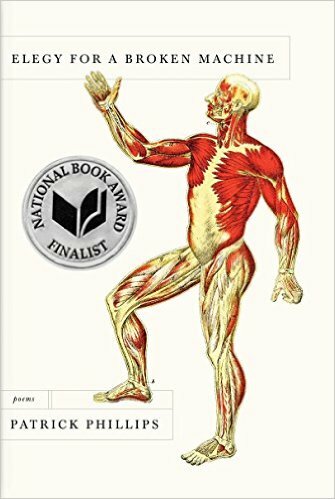 Elegy for a Broken Machine (Alfred A. Knopf, 2015), Phillips’ most recent poetry book—a stunning collection of elegies that bear witness to the small beauties and inevitable losses of our transient life—was named a finalist for the National Book Award in Poetry. He is the author of two earlier poetry collections, Boy, which navigates the course of the male experience, and particularly young fatherhood, and Chattahoochee, winner of the 2005 Kate Tufts Discovery Award. Phillips is also the translator of When We Leave Each Other: Selected Poems of Henrik Nordbrandt (Open Letter, 2013), a book he began when he was a Fulbright Scholar at the University of Copenhagen’s Centre for Translation Studies, and which went on to win the Translation Prize of the American Scandinavian Foundation. A recent Guggenheim and National Endowment for the Arts fellow, his work has appeared in many magazines, including Poetry, Ploughshares, and The Nation, and his honors include the Kate Tufts Discovery Award, a Pushcart Prize, and the Lyric Poetry Award from the Poetry Society of America. Phillips teaches writing and literature at Stanford. Patrick Phillips is the author of a book of nonfiction, Blood at the Root: A Racial Cleansing in America (W. W. Norton 2016), and three poetry collections. His most recent, Elegy for a Broken Machine was named a finalist for the 2015 National Book Award in Poetry; his two earlier collections are Boy and Chattahoochee. He is also the translator of When We Leave Each Other: Selected Poems of Henrik Nordbrandt. A Guggenheim and National Endowment for the Arts fellow, Phillips’ work has appeared in many magazines, including Poetry, Ploughshares, and The Nation, and his honors include the Kate Tufts Discovery Award, a Pushcart Prize, and the Lyric Poetry Award from the Poetry Society of America. Phillips teaches writing and literature at Stanford. 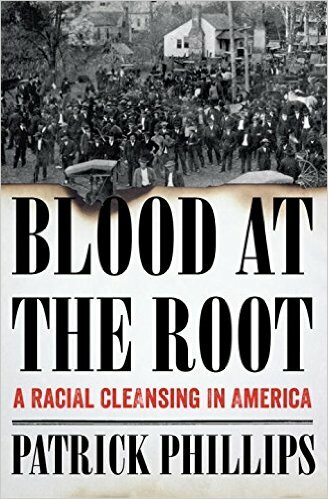 A gripping tale of racial cleansing in Forsyth County, Georgia, and a harrowing testament to the deep roots of racial violence in America. In 1912, a young girl’s murder rocked the rural community of Forsyth County, Georgia, and led a mob of whites to lynch a black man on the town square. A month later, thousands cheered the hanging, on spurious evidence, of two black teenagers, then set fire to the homes and churches of farmers, field hands, and servants. Bands of night-riders declared Forsyth “whites-only” and sent 1,100 citizens running for their lives. Whites took over their livestock, harvested their crops, and laid claim to “abandoned” black land, slowly erasing all evidence of their communal crime. Blood at the Root is a sweeping American tale, spanning the Cherokee removals of the 1830s, the hope and promise of Reconstruction, and the crushing injustice of Forsyth’s racial cleansing. The story continues to the verge of our own era, including a violent attack on civil rights activists in 1987, as residents fought to “Keep Forsyth White” well into the 1990s. Patrick Phillips breaks the century-long silence of his hometown and uncovers a history of racial terrorism that continues to shape America in the twenty-first century. The poet Patrick Phillips brings us a stunning third collection that is at its core a son’s lament for his father. 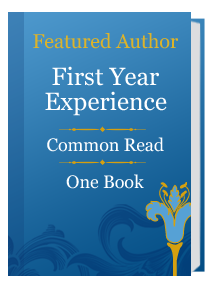 This book of elegies takes us from the luminous world of childhood to the fluorescent glare of operating rooms and recovery wards, and into the twilight lives of those who must go on. In one poem Phillips watches his sons play “Mercy” just as he did with his brother: hands laced, the stronger pushing the other back until he grunts for mercy, “a game we played // so many times / I finally taught my sons, // not knowing what it was, / until too late, I’d done.” Phillips documents the unsung joys of midlife, the betrayals of the human body, and his realization that as the crowd of ghosts grows, we take our places, next in line. The result is a twenty-first-century memento mori, fashioned not just from loss but also from praise, and a fierce love for the world in all its ruined splendor. All night, as Mae Crow drifted in and out of consciousness, searchers called through the pines, the sound of her name rising and fading into the drone of the tree frogs. There, in the woods along the Chattahoochee River, in the Appalachian foothills north of Atlanta, she’d been beaten and left to die, and now lay too bloodied and breathless to answer. Near dawn, as the first rays of sunlight dappled the gulley, a farmer who’d known Mae all her life came stamping down a narrow footpath. He stopped in his tracks, turned, and hollered for the other to come. By the next day–September 10th, 1912–the Forsyth County sheriff had arrested three young black suspects. And while it would take two months and three separate deployments of the Georgia National Guard before Ernest Knox, sixteen, and Oscar Daniel, eighteen were formally tried, convicted and sentenced to hang, for the third prisoner a 24-year-old man named Robb Edwards, death came quickly. When a rumor spread that “Big Rob” had confessed to the crime, a group of white farmers stormed the county jail and, according to one witness, shot Edwards as he cowered in his cell, then bashed in his skull with crowbars. Others say Edwards emerged alive, pleading for mercy, and died while being dragged from the back of a wagon, a noose clinched tight around his neck. As spectators streamed toward the town square, someone lobbed a rope over the yardarm of a telephone pole and hoisted Edwards’s limp body skyward. People took turns with pistols and shotguns, and each time a load of buckshot spun the mutilated corpse, the crowd of hundreds roared. There was nothing unusual about the lynching of a black man in Georgia in 1912, and the next morning the sight of Edwards’s body, laid out on the courthouse lawn, seemed to satisfy those most hungry for vengeance. But a few weeks later, newspapers reported that Mae Crow, known as one of the most beautiful girls in all Forsyth, had weakened and died from her injuries at the age of eighteen. On the day of her funeral, groups of white men gathered at crossroads all over the country. They talked quietly on the porches of country stores and huddled in the dusty thresholds of barns. At the graveside they held their hats over their hearts, eyes blazing as they watched Mae’s mother Azzie, weep over the casket. They were quiet and respectful all afternoon, according to one schoolmate of Mae’s. But when darkness fell, she said, “all hell broke loose” in Forsyth County. heaved through an open window. it’s a piano, filling with trash and yellow leaves. Maybe I’m all that’s left of what I was. breeze blowing across its rusted strings. even with its cracked harp, starts to sing?. and we’ll live there together. but as it is remembered. It will be the past. We’ll all go back together. and lost, and must remember.